Haven at EldridgePeople move to apartments in Houston, Texas, for many reasons, and these reasons are likely to be what you’ll be thinking when you first arrive. However, there are some things you’ll need to do in order to ensure that you will have a smooth transition. The most important ones revolve around getting your identification and making sure that your car complies with the state’s legal requirements. In order to drive in Texas as a permanent resident, you’ll need a license from the local issuer. Here, that is not the DMV. Instead, you’ll need to go to the Texas Department of Public Safety. This must be done within 90 days of finalizing your move. Every state has mandatory minimum car insurance, but the minimum varies with each one. In Texas, you need coverage of at least $30,000 for each injured person and up to $60,000 for all people injured per incident. You’ll also need $25,000 worth of coverage for property damage. You must have this before the next step. Vehicle inspections are mandatory in Texas, so your first stop will be a certified inspection station. These stations are often operated as parts of other businesses, namely mechanic’s shops and other auto service stations. You’ll need to bring your insurance card with you. It is mandatory to register your car in Texas to drive it as a resident of the state. To do this, you’ll first need proof of ownership of the vehicle, sufficient insurance and passage of inspection. You’ll also need to fill out a form (PDF). Take these things to your local tax office. Of course, you’ll also need money to pay the tax. In the rush to comply with the regulations related to a move, it’s easy to forget one of the more basic things. Make sure to update your address and phone number with everyone you want to keep in touch with and set up any services you need. Rest assured that you’re not completely on your own when you move into your new apartment. If you’re thinking about moving to Houston, give us a call! 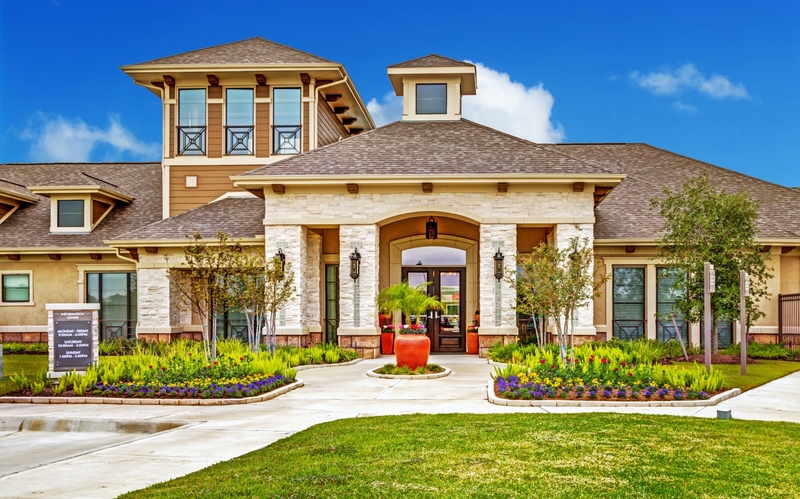 We’re more than happy to tell you about our community and our available homes!